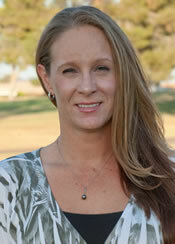 Insurance Professionals of Arizona is excited to have Deborah Feldhaus as part of our organization. Deborah brings a wealth of experience and knowledge in the insurance industry, with commercial insurance being her main focus. Deb’s attention to detail is one of her strongest assets. “I don’t want my clients to worry about their insurance; that is my job,” she said. She continues, “Although I love commercial insurance, I am totally able and willing to discuss personal lines insurance with people as well.” Deb resides in Scottsdale, Arizona with her partner of 12 years. She has two children and is the proud grandmother of a grandson. You can reach Deb directly at 602-515-1292 or email her at deb@insuranceproaz.com.